The Discovery Series for Young Audiences is the foundation of The Lyric’s Arts & Education programming. This mainstay of The Lyric’s educational outreach has provided quality programming to Martin and St. Lucie County schools and the surrounding Treasure Coast area for over 20 years. This series of school-time shows selected with you the educator in mind, focuses on academic subjects such as: literature, science, history, ecology conservation, anti-bullying and wellness. All Discovery Series shows come complete with a study guide that supports Sunshine State Standard curricular requirements to provide a fun way to fulfill your curriculum requirements. We also provide teachers with information on theatre etiquette, which is valuable in teaching social skills for unfamiliar territory. ​Click the link above to download your reservation form and return it. Once your reservation has been processed, you will receive an email confirmation. Payment is due 4 weeks prior to the show date. Final reservation numbers may be adjusted until payment is received. Are you a Martin County Title I School in need of field trip assistance? 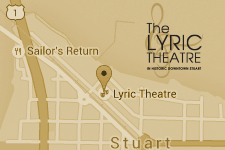 Thanks to the generosity of U.S. Sugar, The Lyric Theatre is offering field trip assistance to Martin County Title I schools to attend The Lyric Theatre’s Discovery Series. The Discovery Series is comprised of curriculum-related educational programming and brings learning to life. The Discovery SeriesScholarship Fund is open to Martin County Title 1 schools, and provides a chance for all students, regardless of resources, to be exposed to the magic of live theater. Selected classrooms from qualifying schools will receive scholarships to attend a performance of a Discovery Series show for FREE. Funds are limited and will be offered on a first-come, first-served basis for qualifying schools. Scholarship funds do not apply to transportation.